Tesco will close the two “Food-to-Go” stores in London, after a failed attempt to rival the likes of Pret and Itsu, on 4 March. The supermarket chain opened the first store towards the end of 2014, following up with a second, smaller version in March last year. The concept stores were originally launched with tourists and busy officer workers in mind, offering 100 different sandwich options, soups, ready meals and, in the second store’s case, Mexican food choices. Both were designed to feel upmarket, with slim line checkouts ideal for the customer in a hurry. It is understood that the shops’ prime locations and their extortionate rents had made the sites unprofitable. 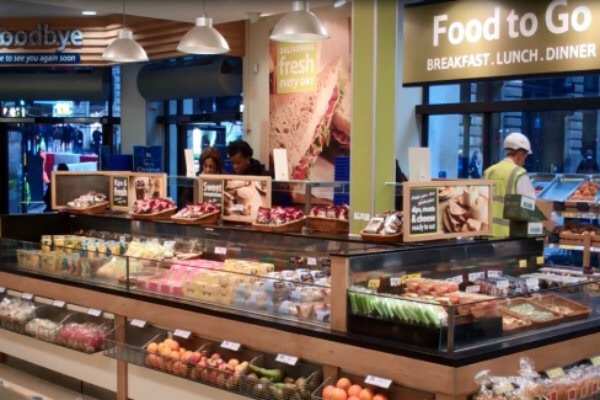 “We’re always looking for opportunities to improve our convenience offering in London which is why we trialled two food to go concept stores”, said a spokesman for Tesco. Tesco said that it will consult with the 22 staff employed across the branches to find them alternative roles within the company. Posted on January 26, 2016, in #retail, #uk, Other. Bookmark the permalink. Leave a comment.